300 Screw Assorted Set Universal Laptop PC Computer Repair Accessory (Black). This item is a set of assorted screws for computer repair. It is made of durable, high quality steel. - A set of assorted screws for computer repair. FAST SHIPPING w/TRACKING! IN-STOCK NOW, RECEIVE QUICK! For Sale Samsung Galaxy Tab 4 8" SM T337 SM T330 SM T337A SM T337V SM T337T SM T330NU T330 Touch Screen Digitizer - WHITE. Samsung Galaxy Tab 4 8" SM T337 SM T330 SM T337A SM T337V SM T337T SM T330NU. These are made of full, 100% rubber and flexible. Is NOT made of hard plastic like the others. Macbook pro 17" A1297 2009 2010 2011. Macbook pro 15" A1286 2009 2010 2011 2012. Macbook pro 13" A1278 2009 2010 2011 2012. You can install foot directly, however, in order to keep the foot fixed better, you can use heating tool (such as hair dryer) to heat the foot area on back of bottom case, and then put on rubber foot when the foot area is hot. Quantity: 500pcs (each size 50pcs). 50pcs x M2x3 Laptop Screws. 50pcs x M2x4 Laptop Screws. 50pcs x M2x6 Laptop Screws. 50pcs x M2x8 Laptop Screws. 50pcs x M2.5x4 Laptop Screws. 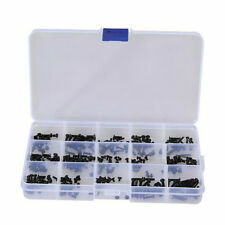 50pcs x M2.5x5 Laptop Screws. Included in box: Seagate IronWolf Drive. The item may be a factory second or a new, unused item with defects. Does not apply. Raspberry Pi Zero, Raspberry Pi 3 not included. The Fe-Pi Audio Z V2 sound card is designed to provide a complete low cost audio solution for Raspberry Pi 2, 3, and Zero, needing line-in, line-out, and headphone-out/mic-in. These are 100% flexible rubber material, not plastic. Need a Opening/Cutting Tool and/or Wheels to Cut the Adhesive so You Can Open Your iMac?. NEW Apple 923-0439 I/O Board, USB, Audio, MagSafe 2 - MacBook Air 13” Mid 2013, Earlt 2014, Early 2015 & 2017. For Dell E7440 E7450 E7420 E7250 E7270. 4x RUBBER FEET. new arrival. 500 - Padded FR Envelope. x - FR Envelope. What is included Allen Bradley. Compatible with. Note: Dell Universal Pairing devices are not compatible with the Logitech Unifying Technology devices (Pic #3). The easiest way to check compatibility is to look at the logo ( blue chain) on the USB receiver and compare that to the logo ( blue chain) on the body of the keyboard or mouse. Part Number(s): 661-5946, 661-5979, 607-7211, 607-7212. This USB Pairing Receiver is for Dell Wireless Keyboard Mouse. Note: Dell Universal Pairing devices are not compatible with the Logitech Unifying Technology devices. Pairing is completed. 1 x DELL USB PAIRING RECEIVER. 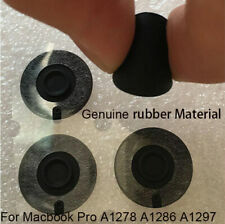 MacBook Pro A1278 A1286 A1297 13" 15" 17". MacBook "Core 2 Duo" 2.0 13" (Unibody). MacBook Pro "Core 2 Duo" 2.26 13" (SD/FW) (09). MacBook "Core 2 Duo" 2.4 13" (Unibody). MacBook Pro "Core 2 Duo" 2.53 13" (SD/FW) (09). Apple iMac LCD Adhesive Open/Cut Wheel Tool w/ 20 Wheels 21.5” A1418 27” A1419. Apple 6pcs iMac LCD Screen Adhesive Open/Cut Wheel Tool 21.5” A1418 & 27” A1419. These do not fit 2014-2018 iMacs. 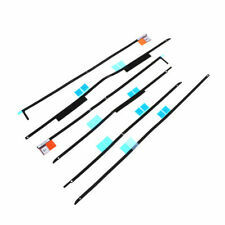 076-1419 Adhesive Repair Kit for iMac 27" Late 2012 & Late 2013. A total of 300 screw, 15 kinds of size, often used for laptop computers etc. RALINK RT5390 Half-mini Wireless N Card For HP COMPAQ 630703-001 T77H355. This is our SOP, for us to be certain and for record purposes. NVIDIA Quadro K4200. 4GB GPU Graphics Card. Tested working card, missing bracket (was server mounted). 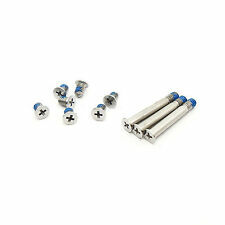 Max Power Consumption: 108 W.
10 pcs Bottom Back Case Cover Screw Set (3 Long and 7 short for Apple Unibody Macbook Pro). For Macbook Pro 13". For Macbook Pro 15". For Macbook Pro 17". For MacBook Pro 2009-2012. We hope you understand. 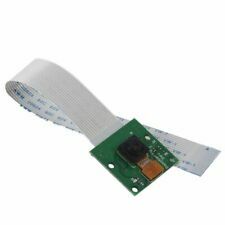 This product is compatible with All A1465 A1370 A1369 A1466. 5-Point Pentalobe Screwdriver x 1 pc. Pentalobe Screws Long x 20, Short x 80 (10 Sets). Mid 2013 (MD760, MD761). Mid 2012 (MD231, MD232). Mid 2011 (MC965, MC966). Model Compatibility: iPad Pro, iPad 6th Gen (2018 Model). The new Multi-Touch subsystem in the iPad 9.7" (6th Generation) and iPad Pro gives Apple Pencil striking capabilities alongside pixel perfect precision. 100 x Bottom Base Screws. Gigabyte G-Connector. Model # 12KRH-0W0001-01R. Quantity: 300pcs. 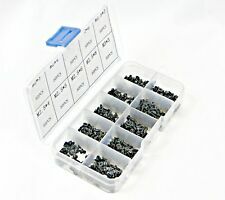 300pcs x Laptop Screws. Convenient for you to repair the laptop. 1pc x Plastic Box. We will do our best to reduce the risk of duties. For DELL E6400 E6500 E6410 E6510. 10x RUBBER FEET. new arrival. 500 - Padded FR Envelope. x - FR Envelope. What is included Allen Bradley. Compatible with. 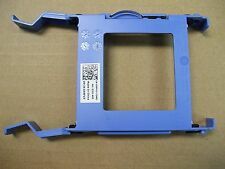 Compatible with: for Dell Latitude E6220 E6330 E6320 E6420 E6430. What is included: 5 x RUBBER FEET. new arrival. 600-Large FR Box. 200 - Regional Box A. 100 - Padded FR Envelope. x - FR Envelope. Allen Bradley. For Optiplex 3040 3046 5040 7040 MT Optiplex 3050 5050 7050 MT. Dell OptiPlex 3040 5040 7040 MT Inspiron 3650 2.5 SSD Hard Disk Drive Caddy. This part is the install 2.5 " or SSD hard disk. and for Dell Precision T3600/ T5600 FR40K/R9PXF. BlueDot Trading Mini USB WiFi LAN Adapter, 802.11N Compliant. 150Mbsp Wireless Transmission rate. High-Speed USB 2.0. LINUX USERS WILL LIKELY HAVE TO WRITE/BUILD THEIR OWN DRIVER TO MAKE THIS ADAPTER WORK.